California is a dream. With its many miles of beautiful coastline and perfect weather all-year long, no wonder people flock to the state every year. When you think about California, cities, such as San Francisco and San Jose often come to mind. People might forget about Oakland, a wonderful city to visit and live in that is also located near the Bay. Whatever sport captures your attention, you can catch a game in Oakland and the surrounding area. You will find locals rooting on the Raiders, Athletics, and Warriors. The city is not just home to sports fans, though. With its abundance of employment opportunities and better options for affordable housing, many families and business professionals choose to make Oakland their forever home. Moving anywhere can be a hassle. Packing, loading, driving, and unpacking. It all requires a lot of time and energy. What if there was a better option? Hiring a car shipping company is a safer, faster, and easier alternative to driving. Not only do you not have to drive hundreds or thousands of miles to your destination, but you will get to your new home quicker. This allows you to start exploring everything the city has to offer, sooner rather than later. Read more about California Auto Shipping Services. One of the primary reasons why people move to a new city is for work. Oakland is filled with job opportunities. Therefore, it doesn’t matter if you have not found a job yet. You are sure to find employment with one of the large companies that span the city. Some companies that are located in Oakland include Pixar, Pandora, and Fathom. Using car shipping services when transferring for a new job is beneficial. It helps relieve some of the stress associated with a move. In addition, it helps save time, making it so that you do not have to use up any of your valuable vacation time on travel. Learn more about Corporate Car Relocation. There are many colleges and universities in the Oakland area, including Laney College, California College of the Arts, and University of California Berkeley. Moving to college is an exciting time, but it can also be stressful. Many people choose to use car shipping services when moving to college to make their life easier. You will already have a lot to do. Make the transition go smoother by hiring National Dispatch. Learn more about College Car Shipping. California is known for its ideal weather, even in the winter time. If you currently live in a place that gets harsh winter storms, then you might consider temporarily relocating to a warmer state during the colder months. People who do this are typically referred to as snowbirds. California is just one snowbird destination. There are many others, including Florida, Texas, and Arizona. National Dispatch ships cars nationwide. Therefore, it does not matter where you need your vehicle shipped to or from in the United States. We can get your car to its destination safely and quickly. Learn more about Snowbird Vehicle Moving. Oakland, San Francisco’s neighbor, is on the east side of the San Francisco Bay. After one visit, you are sure to fall in love. It is the perfect place to call home. Let’s find out why. Well, we should say it offers more affordable living in comparison to other cities in the area. Although Oakland may not be the cheapest city, it is cheaper than San Francisco. The most expensive neighborhoods tend to be Old Oakland, Downtown, and the Jack London District. If you are on more of a tight budget, then San Antonio, Allendale, or Oaktree are better, more affordable options to look into for properties. As we mentioned before, Oakland has plenty of job opportunities available in both small businesses and large corporations. 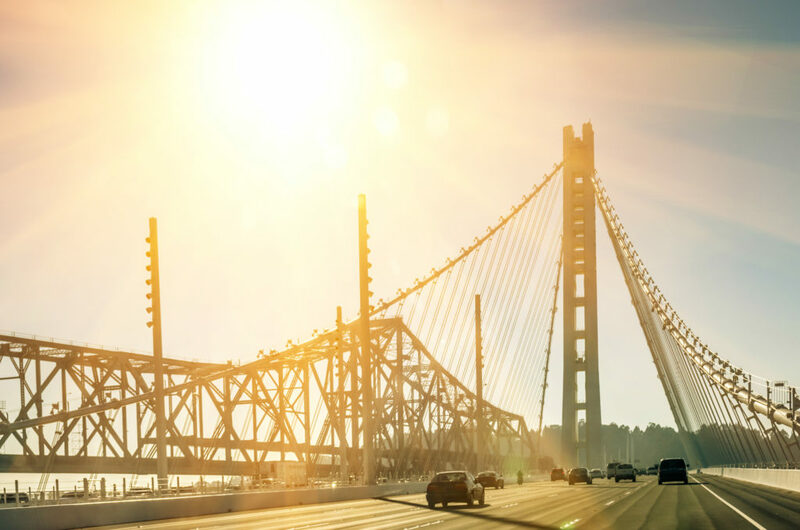 If you are being relocated to San Francisco, the commute is doable, so long as you do not mind traffic and traveling across the bridge every day. It takes less than an hour to travel from Oakland to San Francisco, depending on the particular area. You will never be bored in a city with an abundance of entertainment options. Fox Theater is an old theater that was renovated years ago. It features live music from popular artists. Paramount Theater is also a great option if you want to watch ballet, comedy, or theater. We have mentioned the weather many times, already. That’s because it truly is a beautiful place to live. The winters are mild with temperatures in the 40s and 50s. Therefore, there is no need to stress about a move in the winter time. The summers are warm with highs in 70s. Not only is Oakland made up of individuals from different races and ethnicities, the city, itself, is made up of multiple neighborhoods. There are fourteen neighborhoods, to be exact. Each one has their own unique culture. Take the time to find out which one is right for you and which one you will fit into. National Dispatch is a nationwide auto transport company with a company-owned fleet. If you are in the midst of planning a move, then we encourage you to use our online quote form. Only four simple fields are required: vehicle make, vehicle model, pickup location, delivery location. No personal information is necessary. You will be instantly redirected to your car shipping quote in a matter of seconds. If you prefer to speak with an auto transport representative, call us at 800-321-2051. We are happy to answer any questions you may have. Enter Your Email To Receive Offers, News & More!